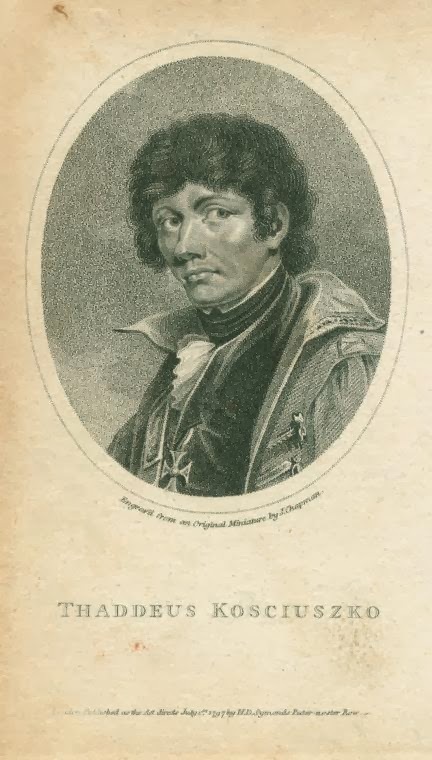 Byron was talking about Polish hero Tadeusz Kościuszko, who was (most likely) born on this date in 1746. Hopefully, within a couple months, the bridge that bears his name — and bears the grievances of those stuck upon it during rush hour — will begin a much-needed makeover. But how did the span over the Newtown Creek, connecting Brooklyn to Queens, get named the Kosciuszko Bridge in the first place? After the war, he returned to Europe and led the fight for Poland’s independence (although his storied uprising against Russia was ultimately a failure). Kosciuszko died in 1817 and has been celebrated the world over as the greatest of revolutionaries and perhaps the best known historical figure in Polish history. But that alone doesn’t get one a bridge in Long Island. 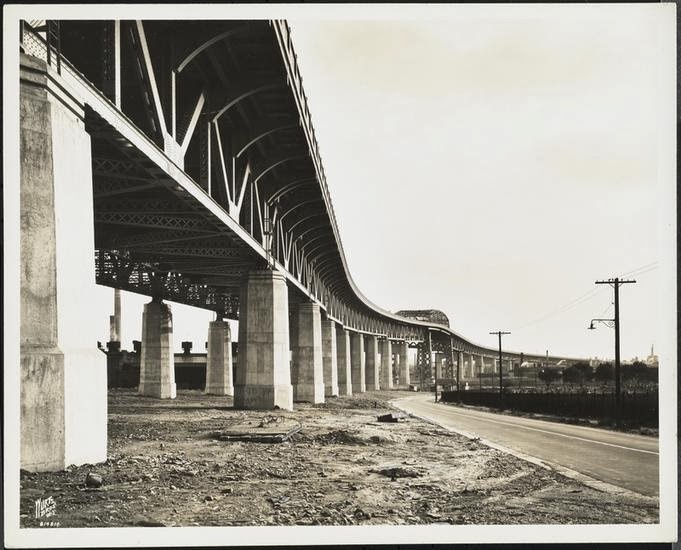 The new automobile bridge, eventually part of the Brooklyn-Queens Expressway, was completed in 1939, replacing a smaller one called the Meeker Avenue Bridge. The new crossing opened in August. Germany invaded Poland nine days later. New York City’s affinity with Poland was strong by this time. The city had thousands of Polish-Jewish residents. The Polish pavilion at the World’s Fair in Flushing-Meadow was among the most striking, featuring a bold statue of the Polish monarch Wladyslaw Jagiello. (That statue was eventually moved to Central Park, where it sits today near the Turtle Pond.) Some New Yorkers feared a similar invasion upon its own shores. 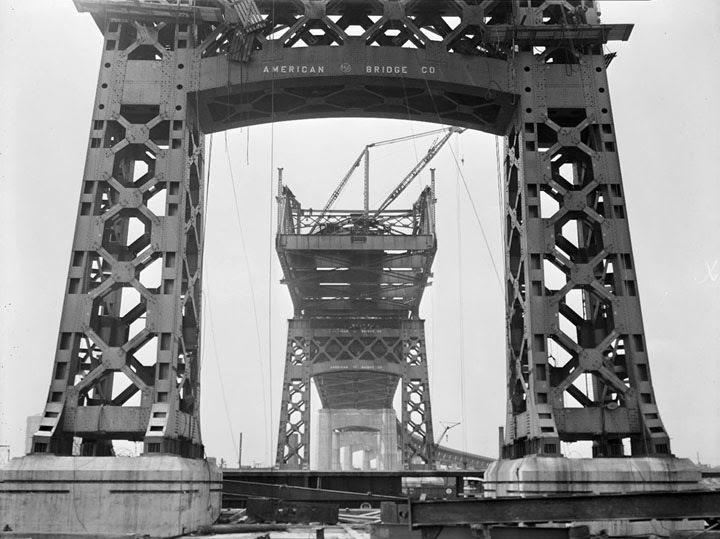 In July 1940, the Meeker Avenue Bridge was renamed the Kosciuszko Bridge, as a sign of the revolutionary spirit that bonded America and Poland. It certainly made sense given that the Brooklyn anchorage rises from Greenpoint, a vibrant Polish neighborhood. At an official ceremony on September 23 — a year after the German invasion — thousands of Polish-Americans cheered along to a rousing patriotic speech by Mayor Fiorello La Guardia. On either side of the bridge were parades featuring revelers in traditional Polish costumes. The crowd roared with applause at the mention of President Franklin D. Roosevelt. America would not be officially engaged in World War II until the following year with the attack on Pearl Harbor. Of course, many people preface the name today with an expletive, as the bridge is better known for its traffic entanglements and its lack of any kind of shoulder for stalled cars. There have been plans for years to replace the bridge, plans which finally look to be rolled out this year. The Kosciuszko’s younger brother bridge — the Pulaski Bridge, named for another Polish hero, Kazimierz Pulaski — spans the same body of water just a couple miles to the west. **Tadeusz Kościuszko actually blew up and booby-trapped many bridges during the Revolutionary War on the command of Colonel Philip Schuyler, the father-in-law of Alexander Hamilton.